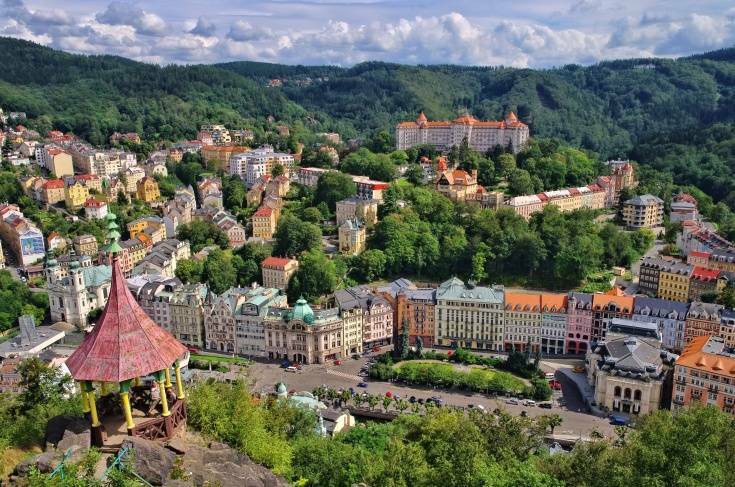 The tour includes 4 hours waiting time during the sightseeing of Karlovy Vary. Karlovy Vary lies in West Bohemia at the confluence of the Tepla River and the Ohre River, about 120 km west of Prague. It is the largest and best known spa city in the Czech Republic. The city was founded in the 14th century by Charles IV. According to a legend, the Emperor had the city built soon after the accidental discovery of thermal springs by his hunting entourage. The spa facilities enjoyed the favor of many aristocratic houses and rich burghers as early as the 16th century. Owing to a series of natural disasters from that period only a few buildings have been preserved. Most architectonic monuments originated in the 18th and the 19th century when the city lived the "period of plenitude". The international fame of the spa city was contributed to by its balneological heritage, the international film festival and some of Karlovy Vary's typical products. Many people automatically associate the words Becherovka, Moser or Thun porcelain with Karlovy Vary. Of no less popularity and renown are traditional spa wafers. Prague (Praha in Czech) was the ancient capital of Charles IV's Bohemian Kingdom, and has played a pivotal role in the development of Central Europe since the Middle Ages. Its epic history has produced a vibrant city of stunning buildings and lovely old squares, with the result that today, Prague is one of the world's most beautiful cities. 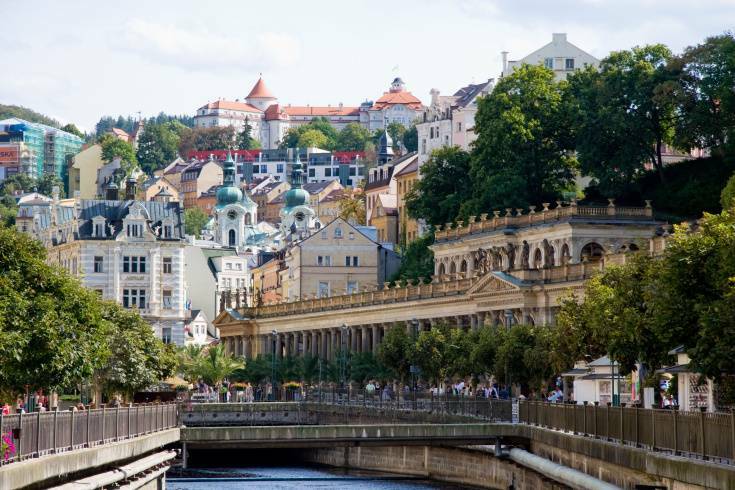 In Karlovy Vary: the driver will meet you at the central park near the Grand Pupp Hotel or at the other side of the town near the bus station close to the Becherovka Museum. Coordinate with the driver for easy reunion. Prices includes VAT, diesel, wage of the driver, car rental, all fees and taxes. The tip for the driver is not included, however the driver will never seek for the tip. Tipping is voluntary. The payment can be done in CZK, EUR, USD or credit card. The credit card payment is made in Czech currency according to current payment policy. Parking fees in Karlovy Vary are included in the price of the sightseeing transfer.